I just want to make a simple post, it's about my eye makeup plus the pictorial too! So this eye makeup was super random, i had no idea what color i wanted to use or how i was going to use it, so while randomly taking the first color, this eye makeup happen, i hope you like it though! Anyway i used eyeshadow palette from Sleek Makeup i-Divine Ultra Matte V1 (you can buy it HERE , buy two and get even cheaper price, like i did hehe). 1. Apply eye primer and then apply white eyeshadow color "Pow!" from Sleek palette all over your lid. 3. 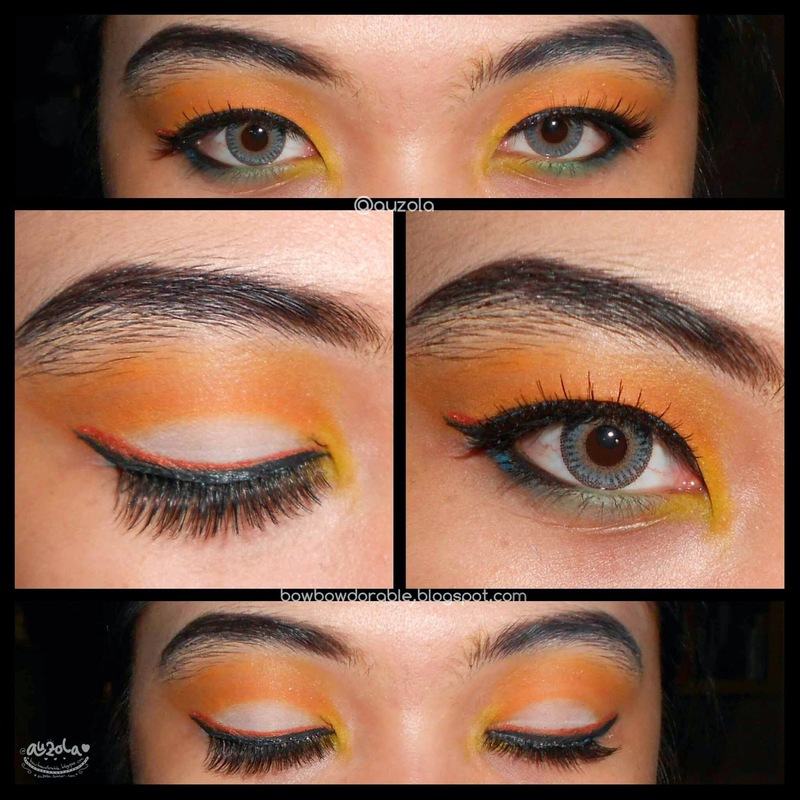 Blend the orange color well and evenly. 4. Add blue "Bolt" to your outer lower lash. 5. Add green "Cricket" to your middle lower lash. 6. Then add yellow "Bammi" on your inner lower lash and on your inner corner of the eyes. 7. Apply your favorite black eyeliner and winged it, also line half of your waterline. 8. 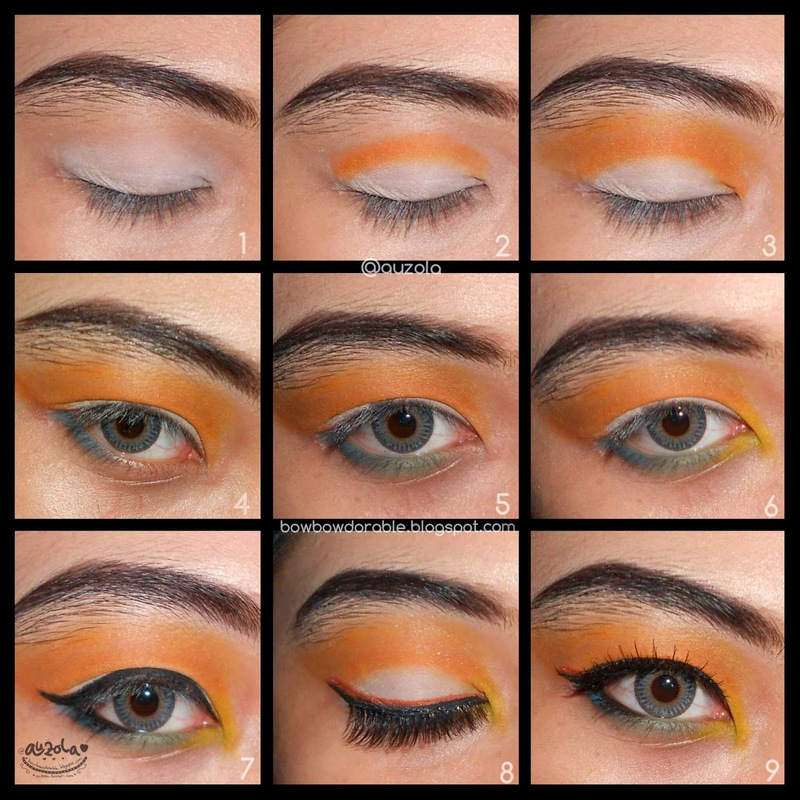 Apply a thin line of orange eyeliner below your winged liner. 9. Put on your mascara for upper and lower lashes, then put on your false lashes.